A delay in amending packaging to include the latest guidance from experts has left parents “horrified”. In 2011, the Medicines and Healthcare Regulatory Agency (MHRA) changed the maximum child dose of liquid paracetamol from 4,000mg a day to 750mg four times per day, and dosing instructions were changed on packaging accordingly. However, liquid paracetamol is mainly administered to younger children, with tablets and capsules being favoured for those aged 12 to 16. An investigation by BBC Radio 4’s You and Yours programme has revealed that the MHRA allowed manufacturers of these until the end of December 2016 to update the dosing guidance on their packaging. Although some tablets and capsules now carry the up-to-date advice, many do not. This means that some children have been taking up to 1,000mg more than they should. Although this level of overdose is not necessarily enough to cause harm, experts say that the public should be aware of the recommended levels. 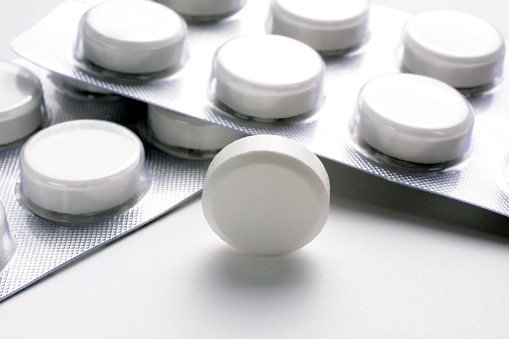 The MHRA estimates 84% of children in the UK receive paracetamol by the age of six months. Rachel Soplantila, a former paediatric nurse and mother of three, discovered that her 12-year-old daughter had been taking 1,000mg more paracetamol a day than recommended when they attended their local surgery. Her doctor consulted the British National Formulary – a reference book used to prescribe medicine that has been updated to reflect the MHRA’s dosing guidance – and informed her of the error, leaving Ms Soplantila “horrified”. "A parent needs to have a faith in the product that they are receiving, that the product is giving them clear, correct information, and, clearly, at the moment, on the backs of the packets which are on shelves at the moment, it's incorrect,” she said. Such an overdose would not have been toxic to a 12-year-old, said Gideon Hirschfield, professor of hepatology at the University of Birmingham. But he did warn consumers “to ensure what is on the back of the packets is clear and up to date”. The MHRA responded to You and Yours, saying that the new guidance was based on the most effective dose for relieving pain and reducing fever, rather than any safety concerns. "Liquid paracetamol products are most usually given to children, and our priority was to ensure that the information on these products was updated," it said. "The Commission on Human Medicines (CHM) agreed a phased approach to the implementation of the new guidelines for solid dosage forms. Information on the revised dosage has been publicly available since 2011." The MHRA insisted that it would “continue working to address the inconsistencies in advice on packaging to prevent further confusion for patients, parents and carers".